Everything flows and Flow is everything. It’s easy to say ‘Go with the flow’ but first you must know where the flow goes. OK, enough with pun on the word “Flow”. Understanding information flow and dominant contributions to an overall flow are critical aspects for analyzing efficiency or lack thereof in business analytics. Sankey is an exciting, beautiful, gorgeous, efficient, informative (add any adjective that you like here) visual for the flow. 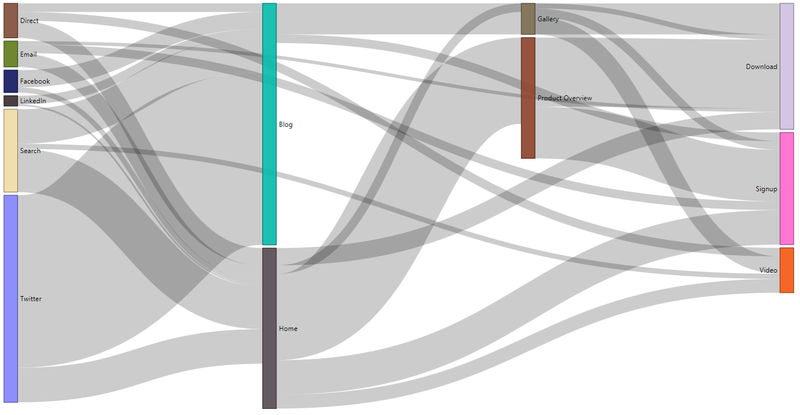 To use, simply download the Sankey diagram from the Visuals gallery and import it to your Power BI report and use it .